Today I got to bake with my 20 month old for the very first time #proudmummymoment Having lots of neices & nephews and friends with kids means it’s not the first time I’ve ever cooked with a child before, but today I felt added pressure because I so wanted him to enjoy himself so that we can do lots more of it together. I thought I’d share my top tips with you incase they help other little Chefs too… My top tips when cooking with kids: 1. Take cover! -popping a full length painting apron on your toddler will save clothes and cleaning (don’t forget an apron for yourself!) 2. Prepare for battle – measure out all of the ingredients in to little bowls and keep out of reach until they’re needed. Read through the recipe and if it helps, write quick large notes on what to do next on a piece of paper so you can use it as a guide without having to ruin your cookbook or reading back through reams of info whilst trying to stop your child smearing chocolate mixture all over your windows. 3. Snacks at the ready – have a bowl of separate treats for them to snack on…otherwise they’ll eat their weight in raw egg, sugar and flour before you can say “baking tray”. 4. Forget the mess – tidy up when you’re done (and get them to help!). Relax and enjoy yourself and let them touch, squidge and feel things – it’s all a part of them learning about food and textures. 5. “Look-Look! 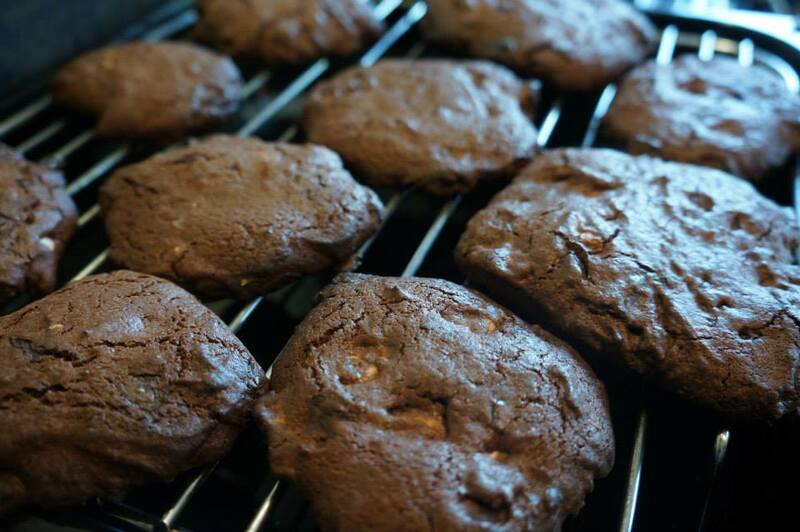 !” – make sure they see every bit of the process from you weighing things out to putting the baking tray in the oven (ensuring of course that the adult does this bit and they stand well back!) it’s all a part of them understanding and then recognising that what’s coming out of the oven is still what they made. 6. Be adventurous – don’t just stick to boring bland basic recipes, add in some different flavours and try something a bit different. When your child cooks something they’re more likely to try it, so use it as an opportunity to get them tasting things that they might otherwise turn their nose up to…and if they don’t like it, you can always eat it for them 😉 7. Smile! – don’t forget to take pictures…and let them take one of their finished dish too. Not only does it give them something they’re proud of to share (even when they’ve been eaten), but it’s also a nice momento for you to keep and look back on. 8. Enjoy yourself The most important tip of all. Cooking together should be fun – for your child AND for you. If you relax and enjoy yourself then they will too. P.S. 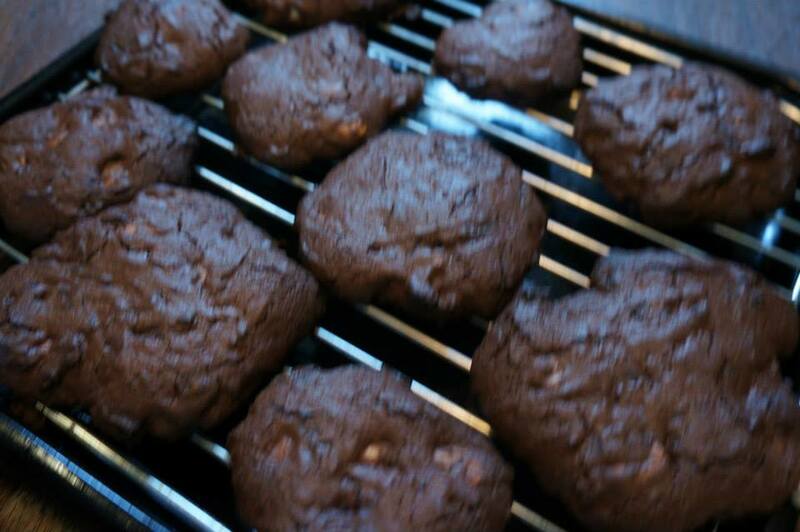 we had a GREAT time today and made chocolate and cashew nut cookies…pictures below taken by Squidly and by me (I think I like his best!). Thanks Jess 🙂 Never a good idea to make them on a 500 day though was it! Ooops..